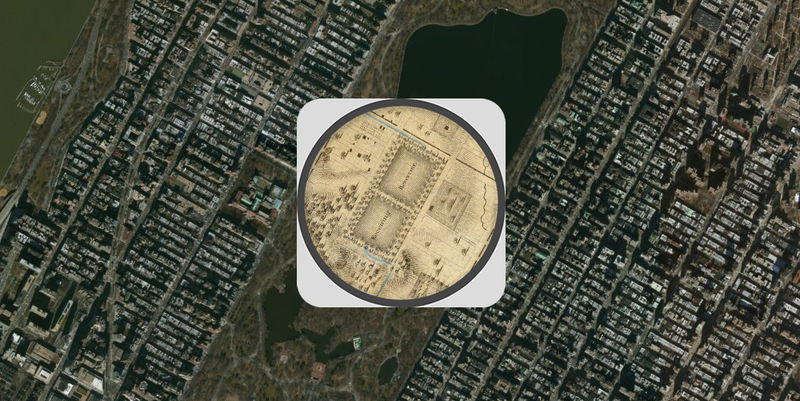 Colton’s 1836 map of the sparsely populated area around Central Park. The satellite image in the middle shows the location of what was the Croton Aqueduct Receiving Reservoir (the six yellow dots—probably baseball fields). The large building in the lower right of the satellite image is the Metropolitan Museum of Art. Click to enlarge. 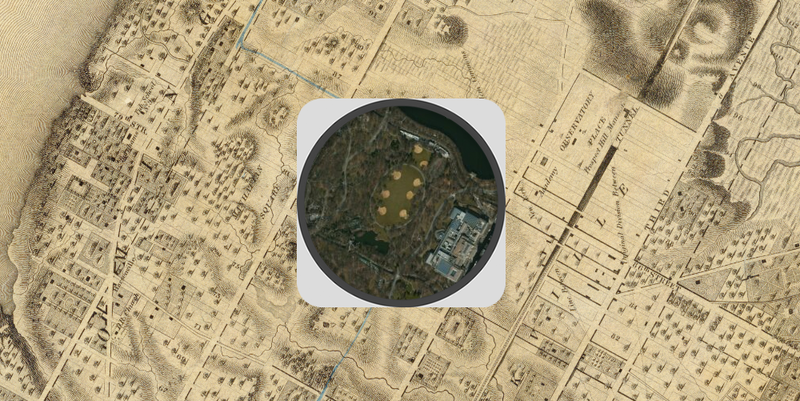 Using a “spyglass” map viewer you can switch back and forth between the two maps and explore 177 years of growth and change from the tip of the island to Spuyten Duyvil. 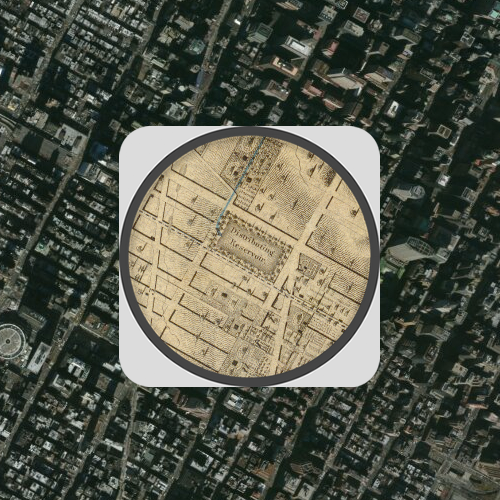 Swapping the images we see Manhattan 177 years later, with Colton’s 1836 map in the middle Click to enlarge. of the New York Public Library. Click to enlarge. What Did Chicago Look Like Before the Great Fire? What Did San Francisco Look Like in the Mid-1800s?